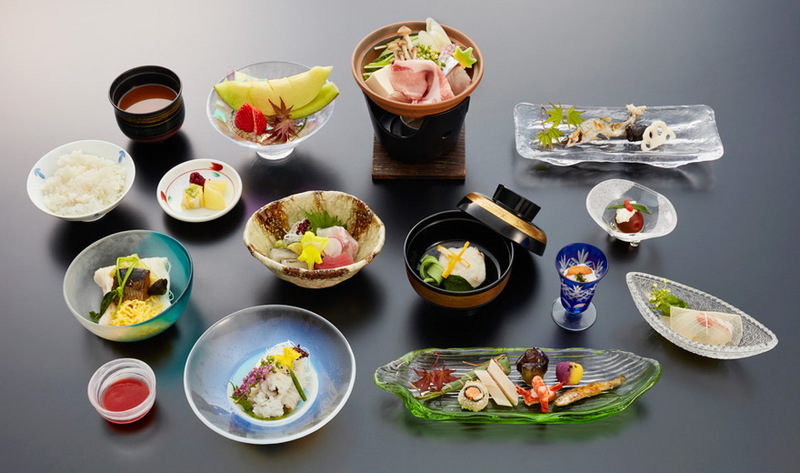 Eat at Kawadokoro in a yukata (summer kimono). 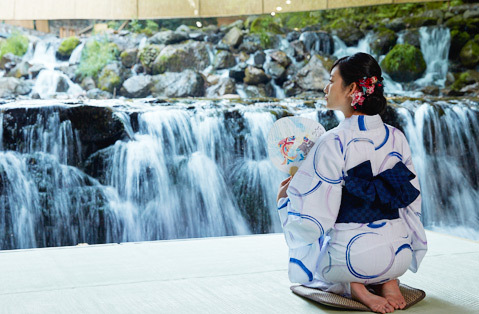 Make summer memories in Kibune, Kyoto. atop a wooden platform on the banks of the river. for everyone offered by Kibunesou. 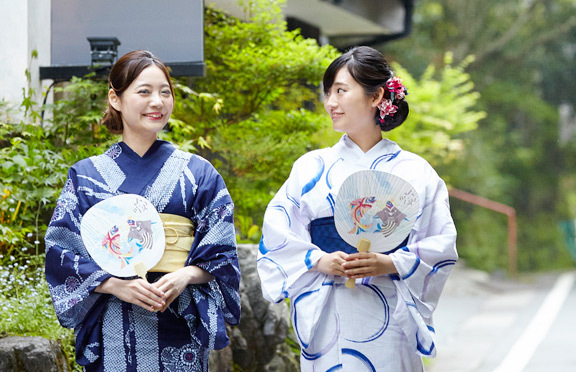 with a basic yukata set (yukata, a glass of wine, and Japanese fan). 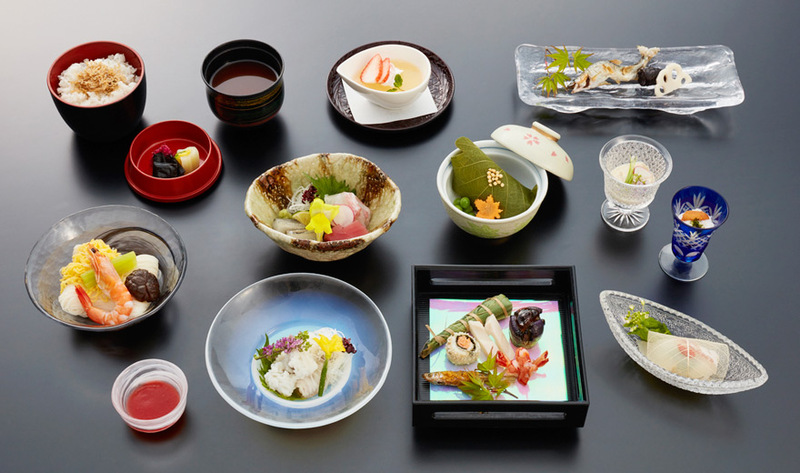 After changing into your yukata, enjoy a meal by the river and the walk around Kibune town. 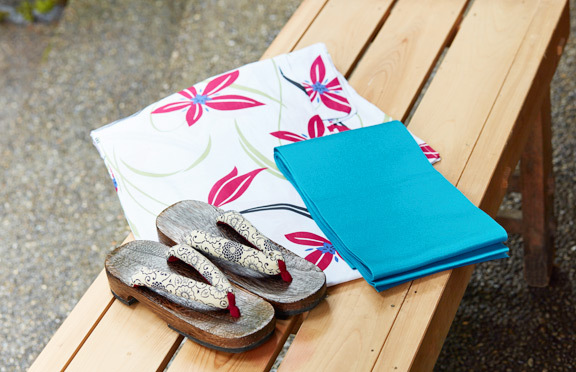 The yukata set worn is gifted to customers as a memento of the trip. 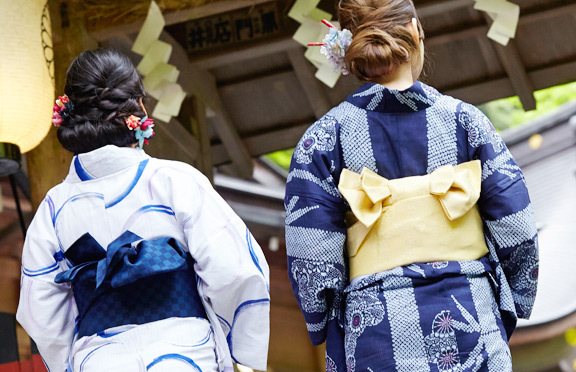 We have over 30 different types of yukata in rotation with new styles added every year, so we look forward to your next visit. 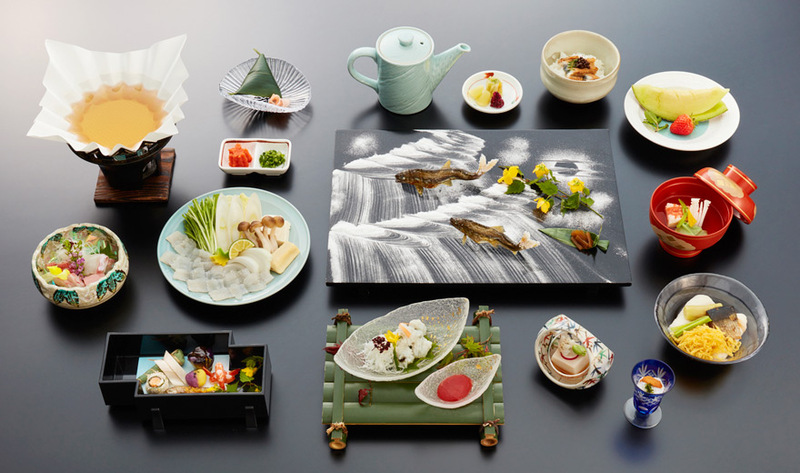 Pack nothing and enjoy the summer wonders of Kibune. * 4:30 pm is the cut-off time for the yukata plan. 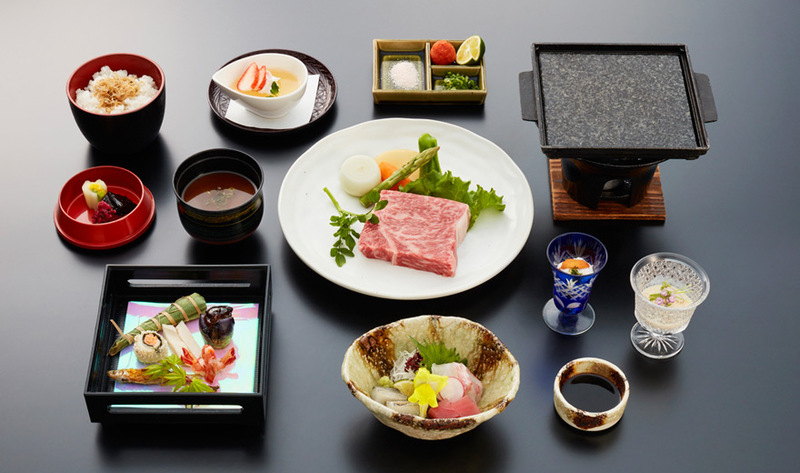 * Weekends and holidays until mid-August incur a ¥1,000 surcharge. * Fitting service is available for an additional ¥1,000. You may have to wait during the peak hours. * Prices are per person and excluding tax. 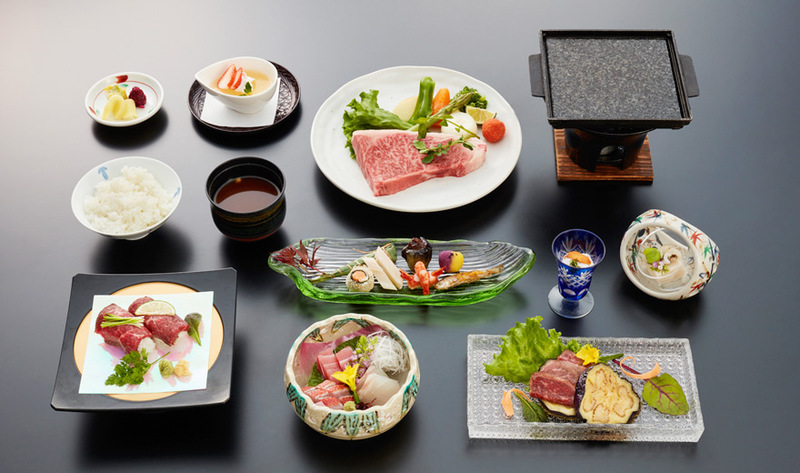 Click here to make reservations for the Yukata Stroll plan When booking, please indicate your preferred meal time. and get original goods from Kibunesou! If you do not have Instagram, please download it from the link below. Customers (hereinafter referred to as “users”) who use the Instagram Present Campaign (hereinafter referred to as “the service”) by Kibunesou (hereinafter referred to as “the company”) must agree to the terms and conditions (referred to as “terms and conditions”) to use the service. See below for details of the terms and conditions. 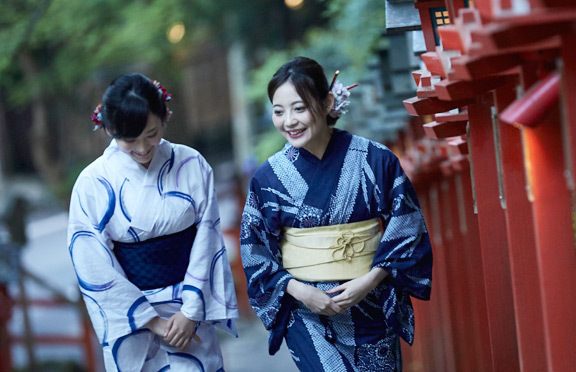 The service is limited to users who have agreed to the terms and conditions and are using the yukata and the Stroll plan offered by our company and in principle must be Instagram users operating personally owned devices. When posting a photo from Instagram on our service, it is required that you use the comments hashtags (#kibunesou_yukatawalk). Once our staff confirms that the post aligns with our terms, you will be entitled to receive our gift. Comments, nicknames, and photos (hereinafter referred to as the "work") on the hashtag (#kibunesou_yukatawalk) may be transferred to our company website. Please follow the terms and conditions of our company as well as those of Instagram when using Instagram. *Our company retains the copyright of all posts. The user agrees not to assert moral rights for works submitted to this campaign. *Minors require the consent of their parent or guardian to post. We will assume that parents have agreed to all agreement conditions in the case of a post. * Posts are those only that are taken by the user in our facility at the time of use. * Any costs inquired from posting shall be the responsibility of the poster. * Our company takes no responsibility for third-party copyright and portrait right infringement. Please use this service and post at your own risk. In the event that the company or a third party receives a complaint due to the work of the user, the user may be required to bear the cost of resolving the complaint. * All the submitted works become the property of our company to be modified or altered and to be used at will for PR, advertising, and promotion, for an indefinite time such as various events, at no cost. In this case, the user cannot claim any moral rights. *The company may check the works posted before posting on the site. Works that do not suit the theme, are contrary to public order and morals, may infringe on the rights of third parties, and others that our company considers inappropriate will not be posted. There will be no disclosure regarding reasons for omissions. The prizes will not under any circumstance be delivered by mail. Prizes will be presented to the customer in-store only. We will ask you to fill in your private information if you are selected as a winner (shipping destination for the prize). Our company will strive to manage the personal details of the users securely while providing this service. However, we appreciate your understanding of the communication risk in using this service. Our company will not take responsibility, unless negligence due to illegal acts of third parties if personal information is leaked. 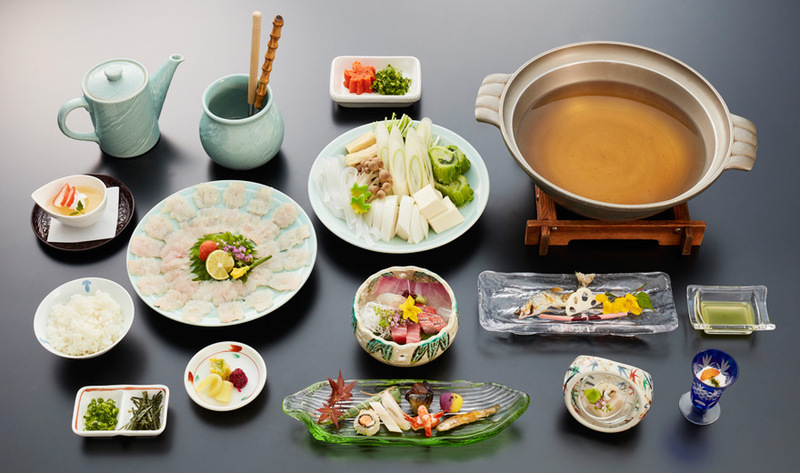 Our company will revise the contents of this agreement in accordance with amendments to laws and regulations and changes to our business activities. In the event that the terms and conditions are altered, we will notify the user with the new terms of service. Our company operates this service, and Instagram, Inc. is not involved with the user or service.